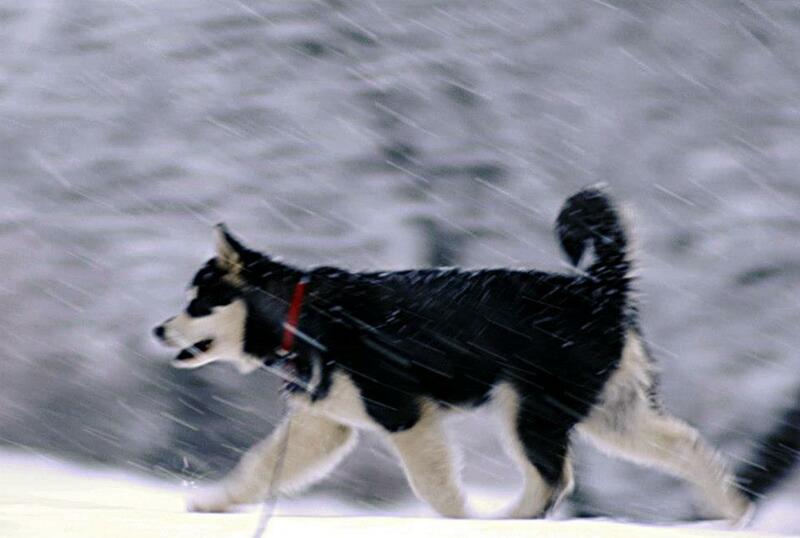 Above: Dozer and Meme, with their great great old Uncle Ernie enjoying a sled ride March 2013. Although only 13 months of age, Dozer made it to the final cut in a 20 entry 'Open Dog' class! The little 'snow' Dozer began his 'show career' at seven months by going to a UKC show and winning a Best of Winners / Best of Breed and one Group First! 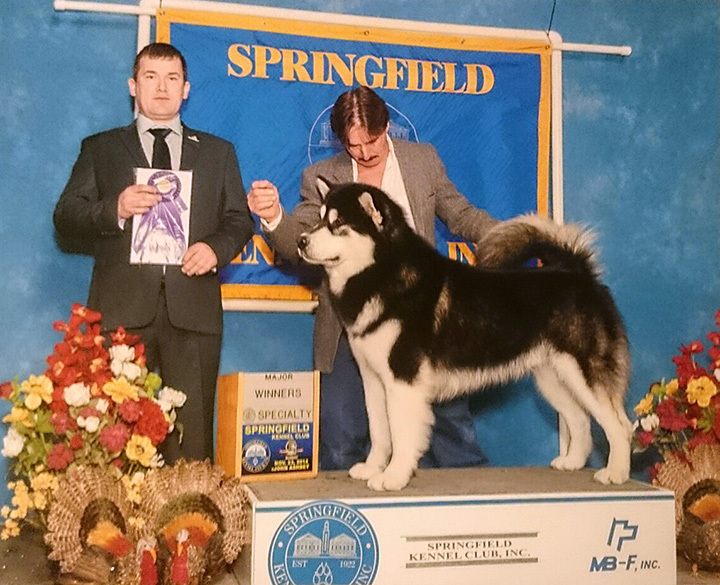 He finished his UKC Championship July 21, 2013, at about 10 months of age with a Group Second. 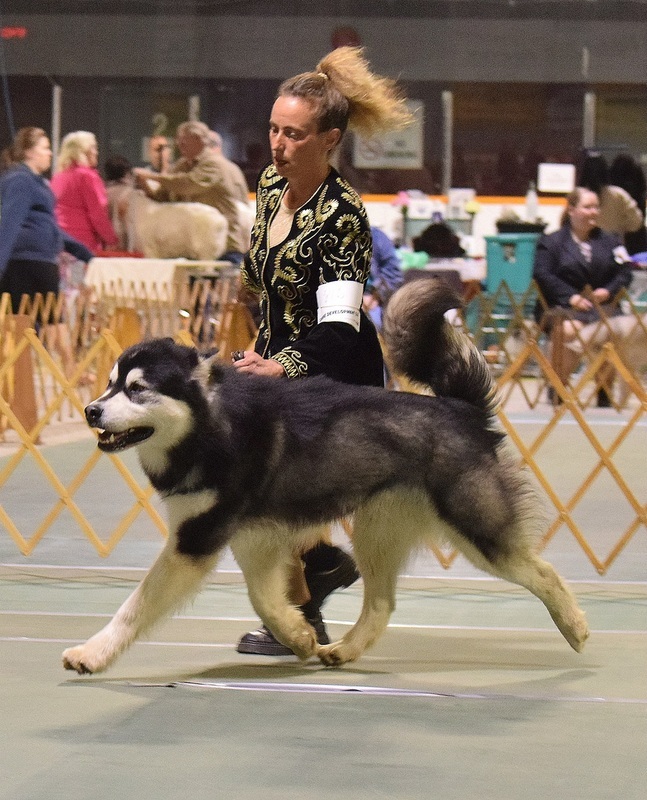 He then finished his FCC CH, at the earliest age I could take him, and is now a CKC CH and FCC Elite Champion, complete with Group Placements. 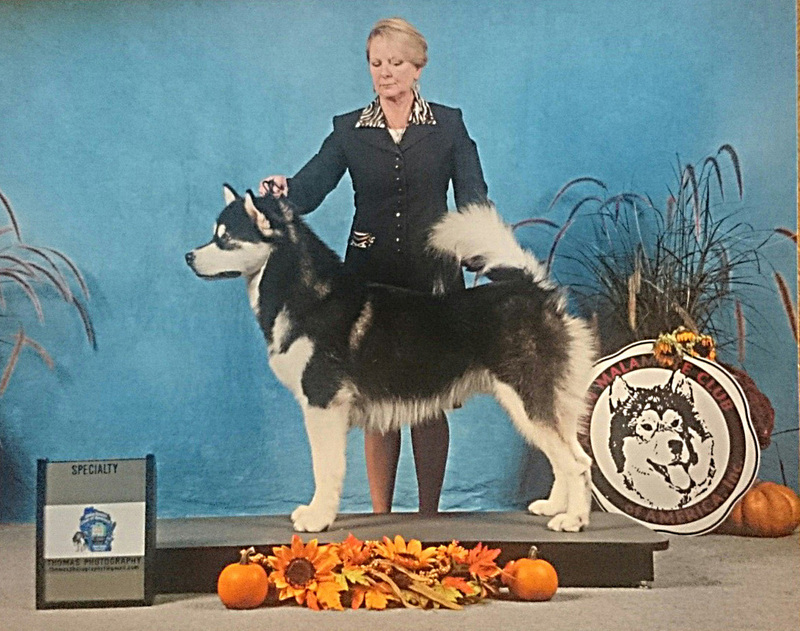 He also has one AKC win, at a Specialty. 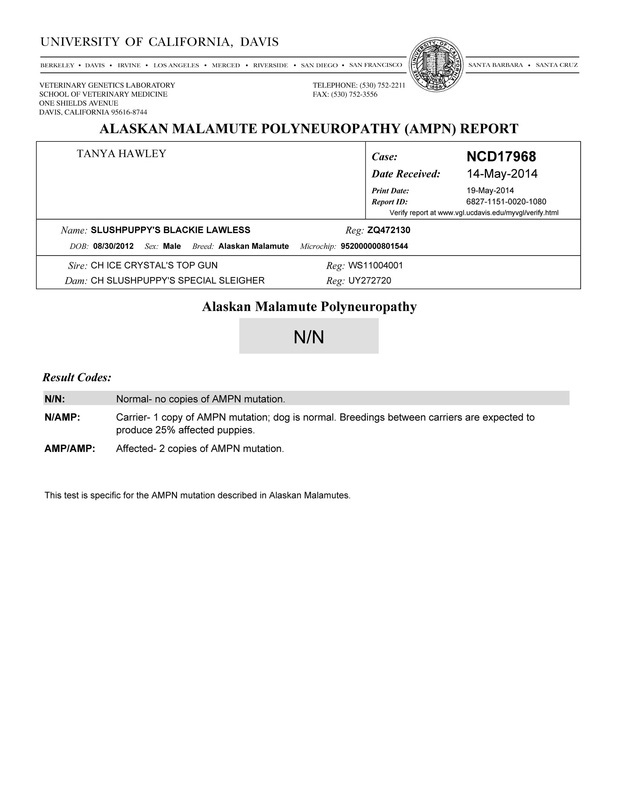 He has also completed the overnight leg of his 'Working Pack Dog' certificate. 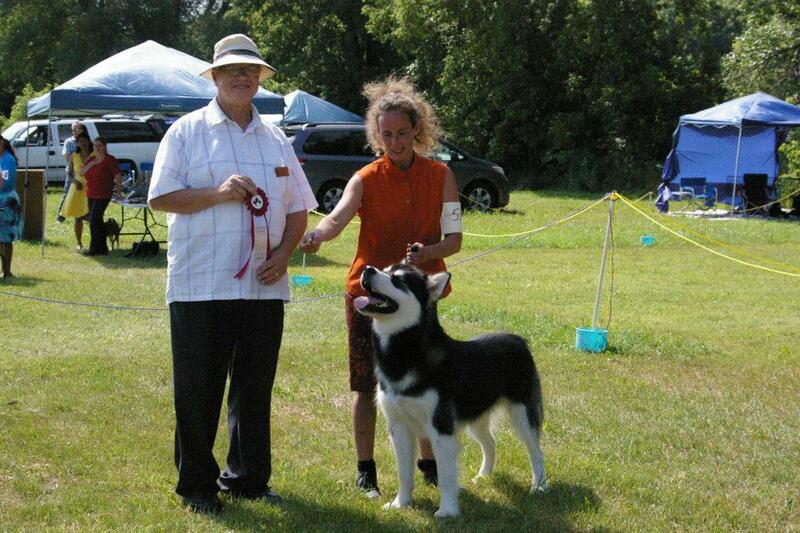 Dozer, receiving a Group First at his first UKC show, as a junior puppy! Dozer, free-gaiting, just over three months of age. 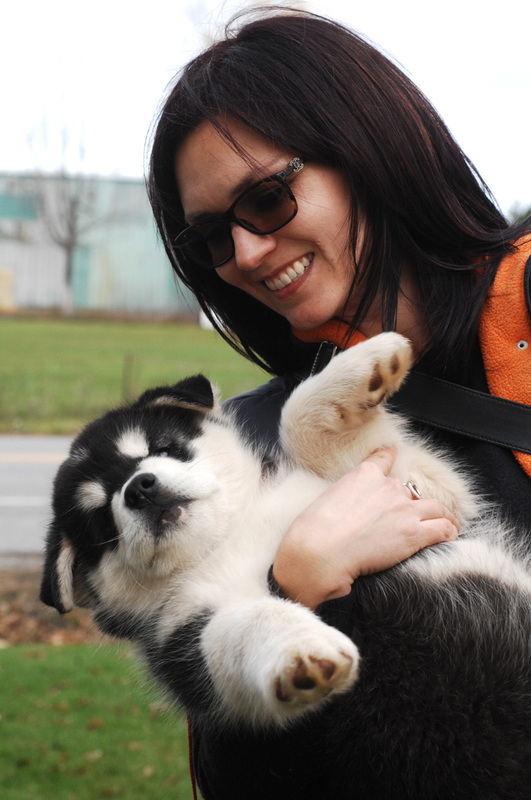 Dozer - after successfully completing his puppy temperament / aptitude test, with his tester, Zoe Quinn-Phillips! 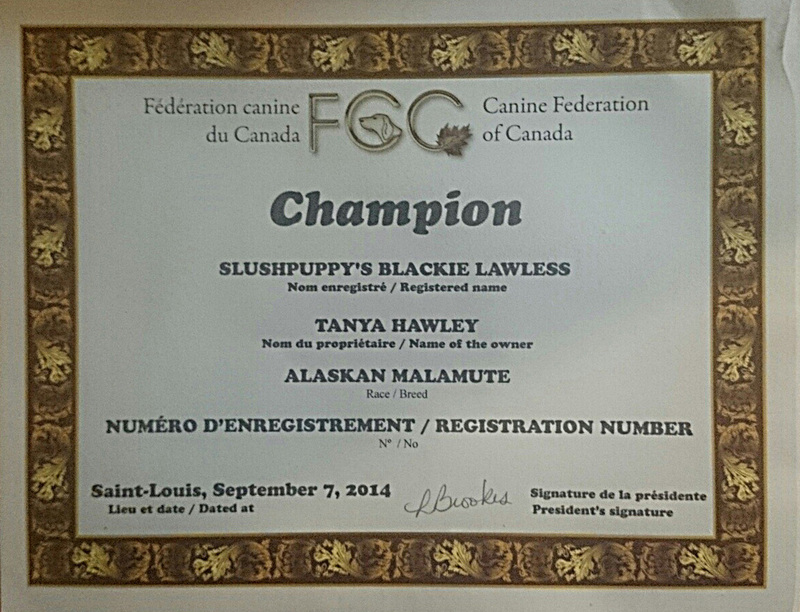 UKC CH Certificate - earned with three Best of Breeds, Best of Winners - and three Group Firsts! 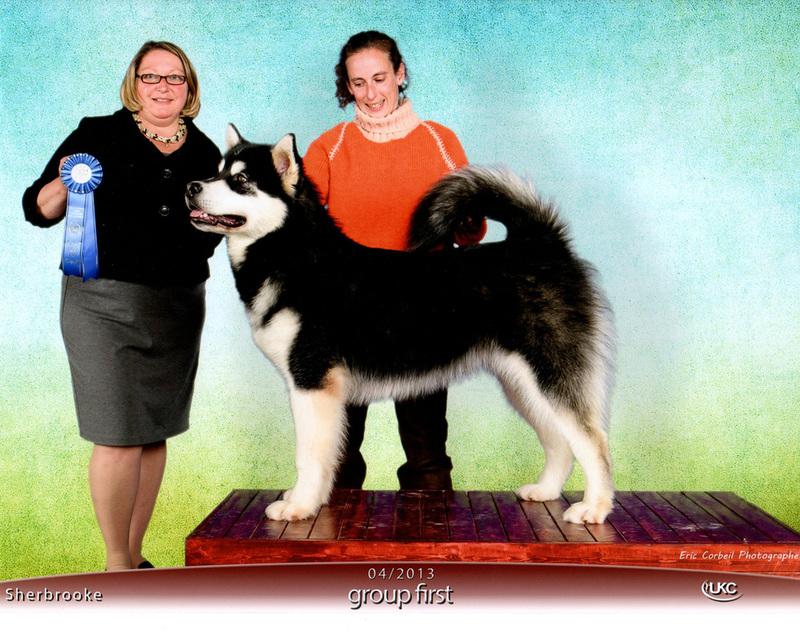 FCC CH Certificate - earned with three Best of Breeds!